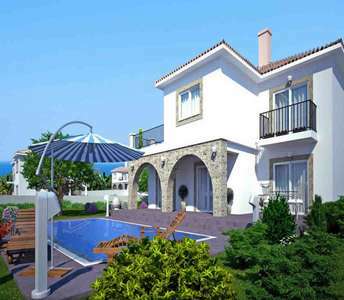 The property for sale in Cyprus is located in a village called Kathikas that is 25 kilometers away from the city of Paphos. 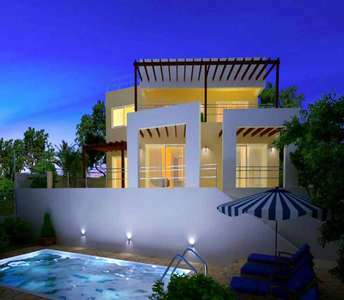 This home in Paphos (Cyprus) has title deed and offers panoramic sea view. 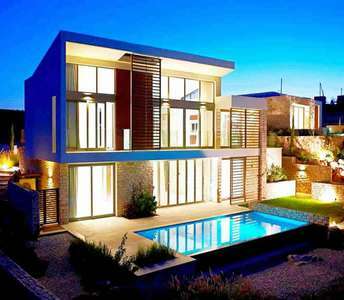 Just 100 m. from the sandy beach, this oceanfront villa for sale in Paphos (Cyprus) has literally been built in heaven on earth, as it is surrounded by an extensive plot of land which is flourishing in greenery. 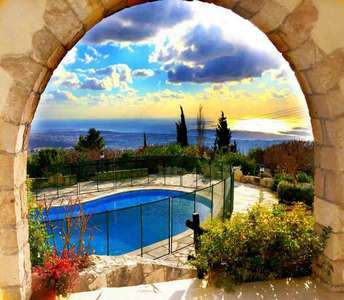 The Cyprus property has sea view. 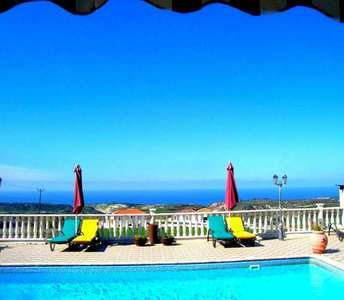 This sea view property - villa for sale in Paphos is located in an advantageous location in the village of Peyia. Spectacular ocean views of the Mediterranean beaches of Cyprus and the calm bay can be enjoyed from this desirable property in Paphos.